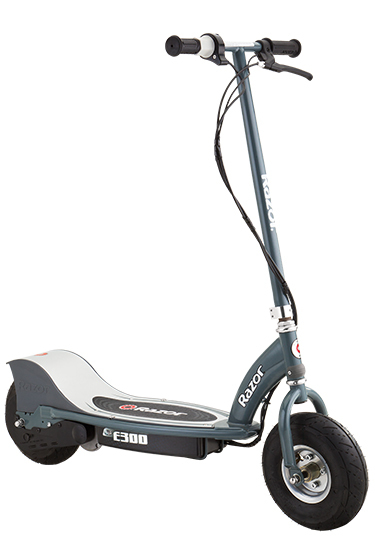 The maximum weight capacity of the RX200 is only 154 pounds, barely qualifying it as an adult scooter. 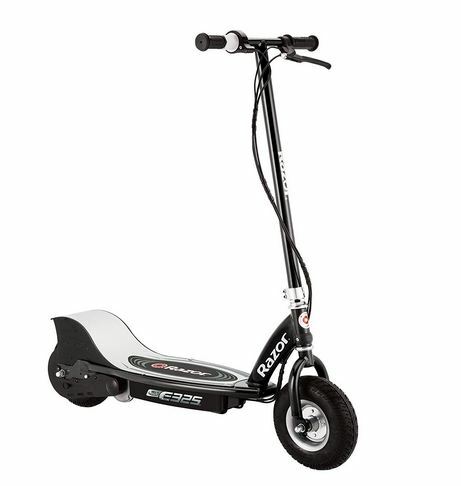 Still, it’s worth considering the scooter because of the numerous modifications that Razor has made to the E200, such as changing the gearing ratio to deliver more torque. 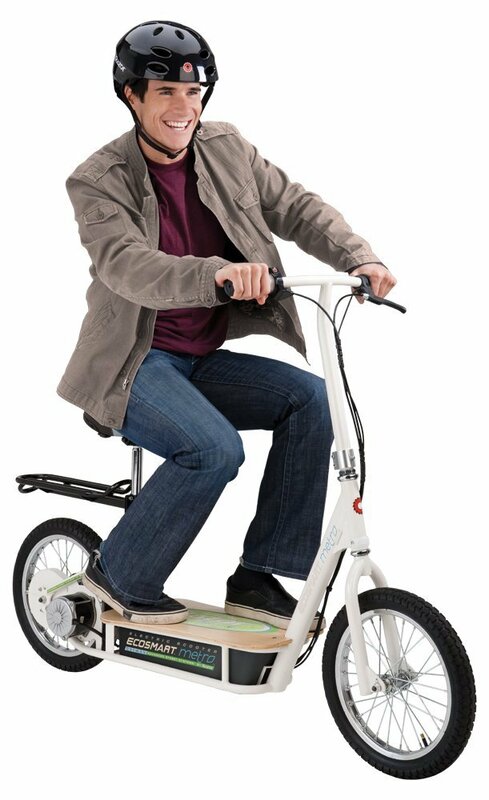 It takes 12 hours for the battery to charge and its top speed is 12 miles per hour. 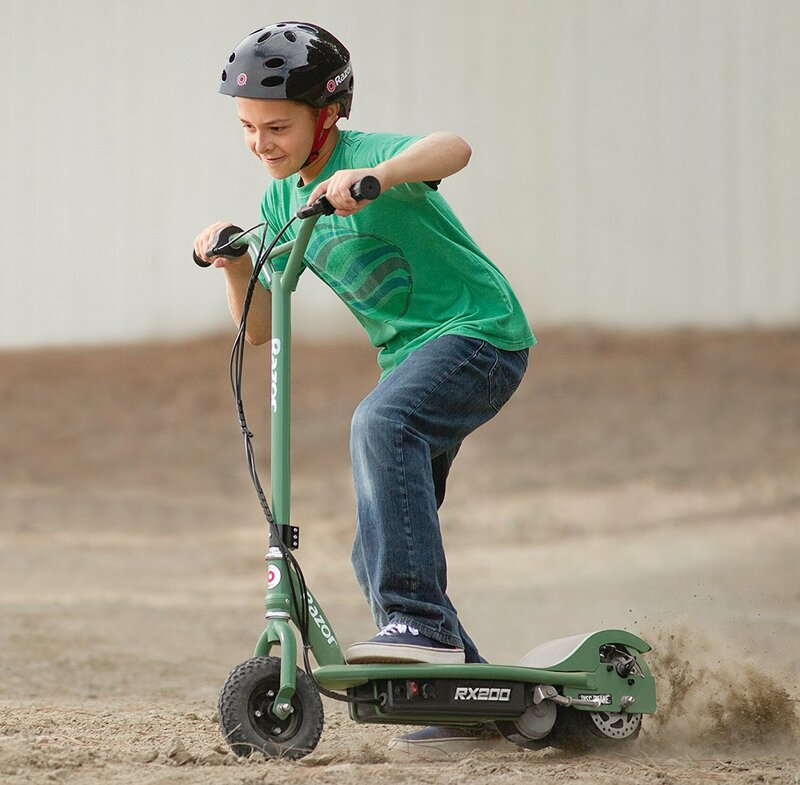 This scooter is an excellent option for off road riding at a great price, but keep the weight limit in mind. 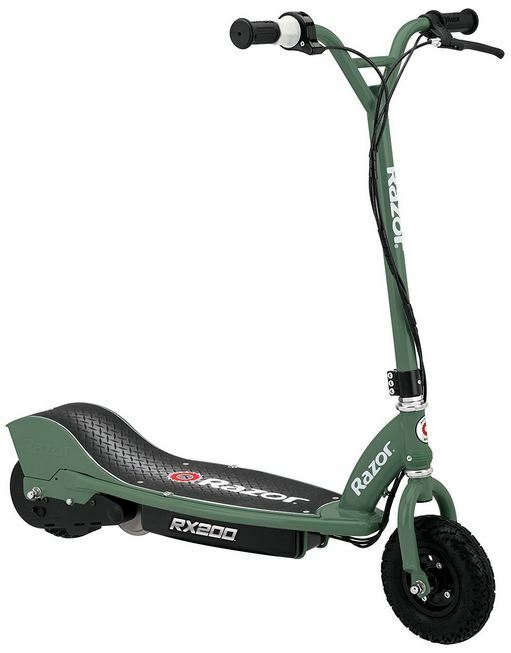 Well made, decent speed, and easy to use. 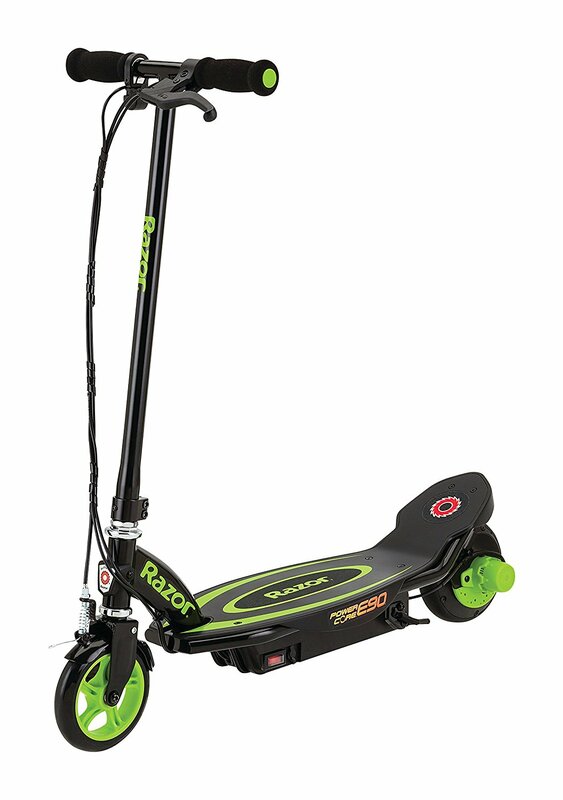 My only complaint is that while it can handle an adult, it doesn’t really seem made for an adult. 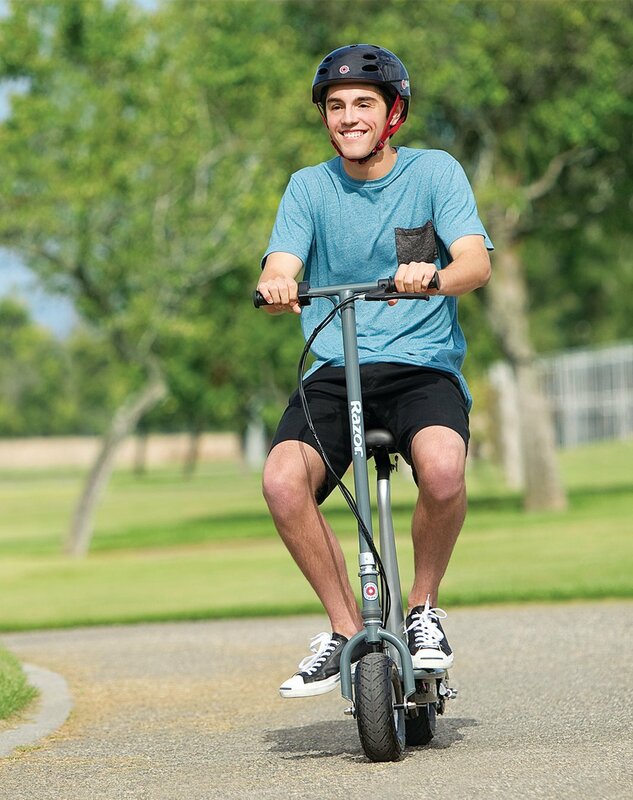 It’s still totally fine, but the handlebars seem a bit low and I can’t seem to get mine any higher. 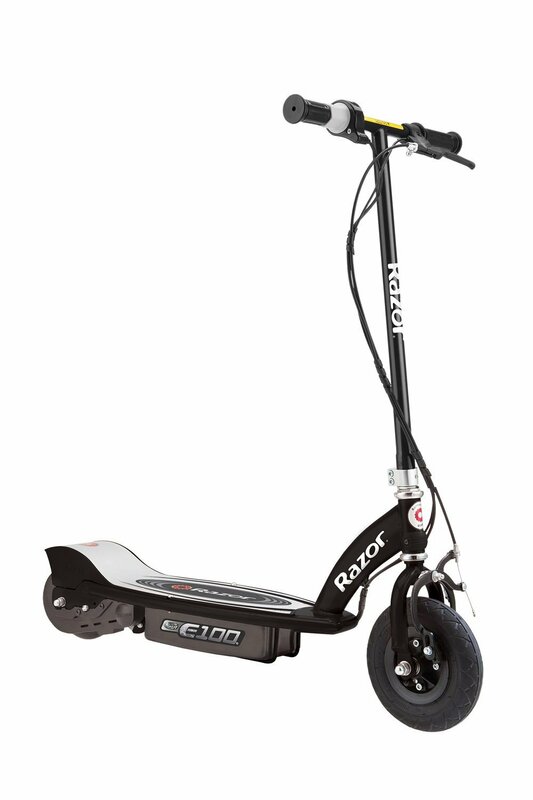 First of all thanks for this great review of the RX200 scooter. It is very helpful for a beginner like me. 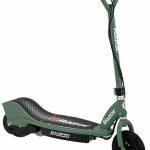 After reading your article, I am going to buy a Razor RX200 for my 10 years old son. 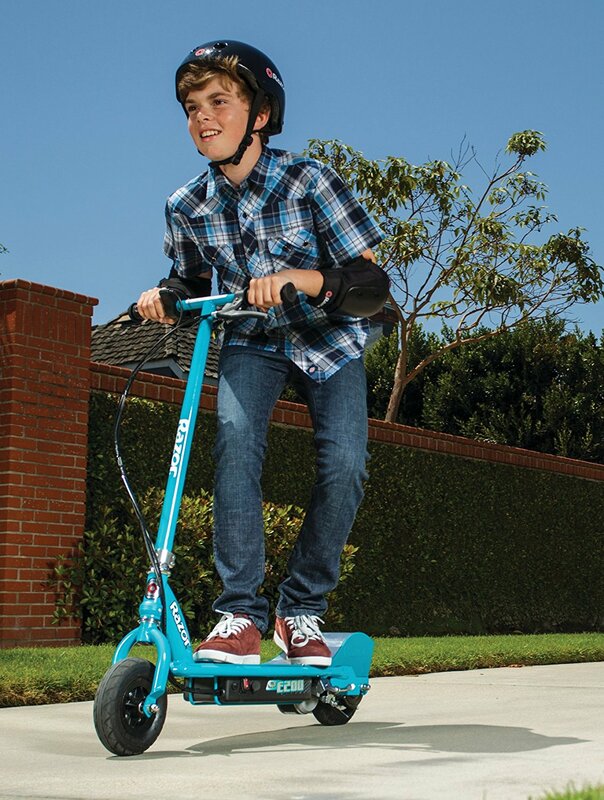 Is it suitable for a 10 years old boy? What do you say about that?